Sarina's Sephardic Cuisine - Kosher Family Recipes - Those Kitchen Knives - are they ever sharp enough? Those Kitchen Knives - are they ever sharp enough? I promise I have a zillion kitchen knives of almost every shape and size. There are knives for boning, filleting, peeling, slicing, and of course chopping. Keeping them sharp is another story. I mean, if they are sharp, I constantly cut myself. My hands can tell a story of their own with scars from various cuts and burns (from the oven). So while I want my knives to be sharp, when they are I only injure myself. Case in point when chipping an onion too quickly with a very sharp new knife, I nearly spliced off my finger! Still, when a knife is not sharp enough, I get crazy, going through several until I find one for the task. 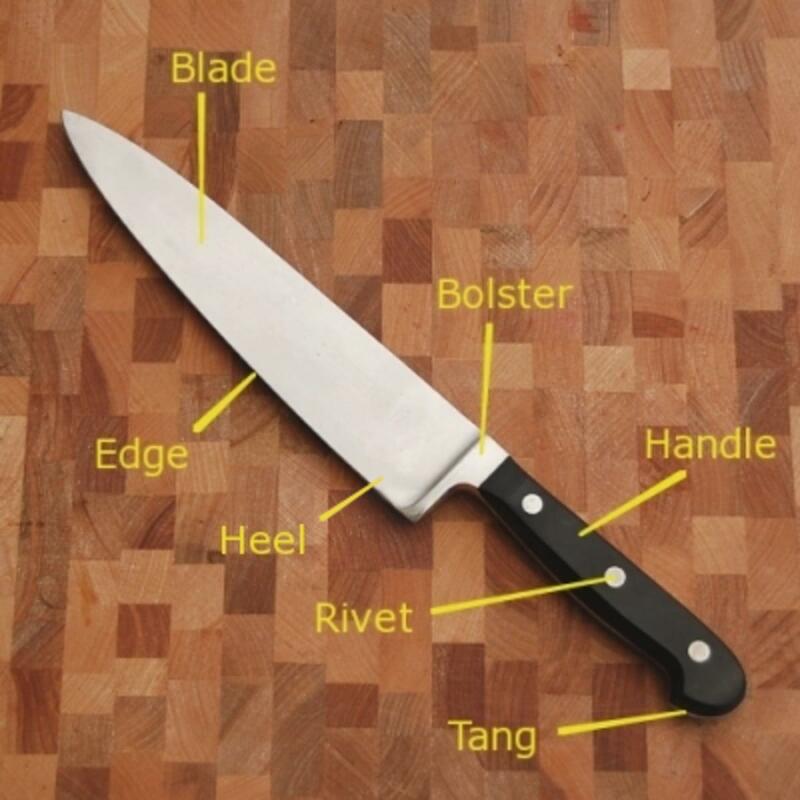 We all have our favorite kitchen knives. My mother-in-law had one that was so cherished she promised to will it to one of her children. Still, like all cooks, I have my favorites. I love my knives. The chef knives are used for all around chopping and the flat edge is great for banging the side of garlic to get off the skin. I like the wedge shape best. Serrated knives are great for slicing anything, especially things like tomatoes or bread. Paring knives are good for small jobs because they have short handles and blades, but I don’t generally like them for chopping. Every kitchen needs shears as they are useful to cut up chicken. Lately, I am into my Japanese Santoku knife. I like its chopping ability. The hollow, beveled indentations ground into the blade are designed to create tiny pockets of air between the knife and the product being sliced, reducing friction and minimizing sticking. When selecting a knife, look for one with high steel content and of course how the knife feels in your hand, especially the eight. The best knives are forged from a single piece of steel that runs the entire length of the knife. High carbon steel blades have a sharper edge and hold the edge longer. It is a very hard metal that keeps its edge for a long time and won't discolor or rust like ordinary carbon steel. Low quality steel knives are harder to sharpen and won’t maintain the edge. And you should always have a whetstone (it is not wet) knife sharpener in the house and learn how to use it. Culinary Arts has a nice how to on their web site and a how to video. Some knives, like Cutco, have a lifetime warrantee. You can send them in for sharpening or replacement. If you want local professional sharpening, go to a hairdresser. Usually they have someone who stops by weekly to sharpen scissors. I love those guys! Every knife needs sharpening, so don't believe the hype about knives that never need sharpening. Cutting causes a knife to lose its sharpness. There's no avoiding it. I am looking for feedback and comment on ceramic knives. I haven’t tried them yet, but they are reported to hold the edge longer than steel, are light and easy to clean, but they also break easily. What are your thoughts?